Faith gives courage and strength to Christians around the world who are dealing with heavy burdens. Poverty, disadvantage, discrimination, oppression and even persecution take their toll on individuals and communities and for many, the Church and their faith are a vital source of hope. A gift made in a Will to Aid to the Church in Need is a very special way of reaching out to our brothers and sisters in Christ , of passing on the faith and the values we hold dear to future generations and of helping to build God’s kingdom on earth. In thanks for these special gifts of faith, a proportion of each bequest is used for Masses for the soul of the deceased. These Masses are offered by priests around the world who commend the soul of the deceased to Almighty God when they offer the Holy Sacrifice of the Mass. 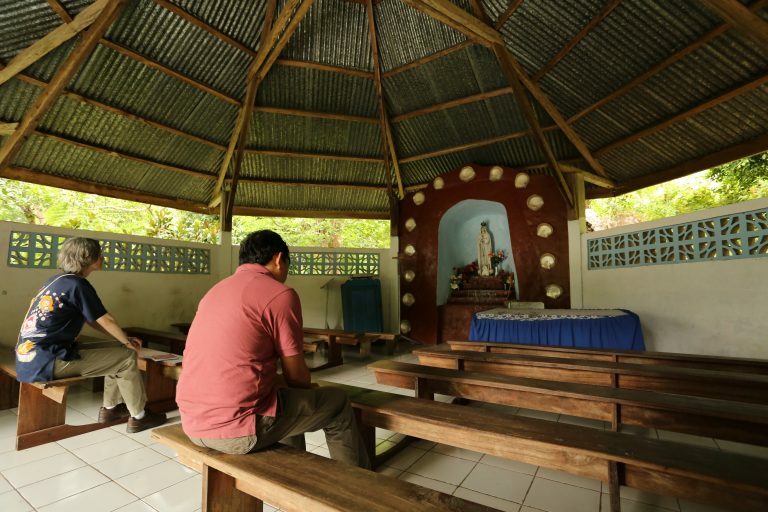 Where possible, the priests chosen to say these Masses are themselves living amongst the poorest communities and the Mass Stipends they receive are a lifeline, helping them with the basics of life. As a further gesture of remembrance, we add the name of the deceased to our In Memoriam Book. It rests on the altar in our Lady Chapel, watched over by a statue of Our Lady of Fatima, to whom ACN is dedicated. Each day at midday, Aid to the Church in Need staff gather to pray the Angelus and for departed friends and benefactors. Each November, we also hold an Annual Requiem Mass for Departed Benefactors, where the In Memoriam Book is taken in procession to God’s altar.